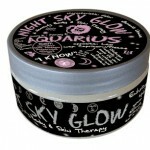 Meet Night Sky Glow, from Mountain Body Products. Shower with the stars. With the only mineral salt skin rub in the perfect scent for every Zodiac sign.